Individual psychotherapy is the primary modality of treatment for nearly all mental health problems. Individual sessions provide a unique opportunity for client and therapist to develop a good working relationship, the most essential ingredient of therapeutic efforts to empower positive change. As psychologists, we have the training and expertise to provide individual psychotherapy for a wide range of mental health issues including substance abuse, mood and anxiety disorders, identity and self-esteem issues, and relationship issues. The length of individual treatment can vary widely based on many different factors, ranging from brief therapy lasting a few weeks or months to open-ended therapy with no pre-determined limit. The frequency of individual sessions also varies, based on individual need, from 1-2 sessions per week to 1-2 sessions per month, or less often, depending on the nature/severity of problems being addressed and the rate of therapeutic progress. We offer individual therapy, by appointment, for clients wanting help with substance use and/or other mental health concerns. 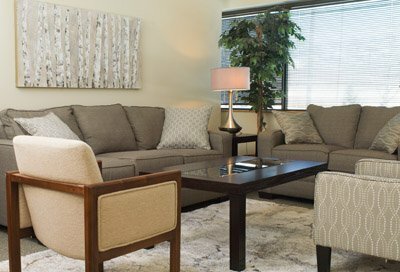 As with all of our treatment services, the starting place is an initial consultation, which allows us to understand your needs, goals, and problems properly before we start your course of therapy. Call us today to schedule your initial consultation or just fill out and send us the contact form on this page.